The stock windscreen of the CBR600RR, and most sport bikes, is designed for extreme race use and maximum aerodynamics if a full race tuck. 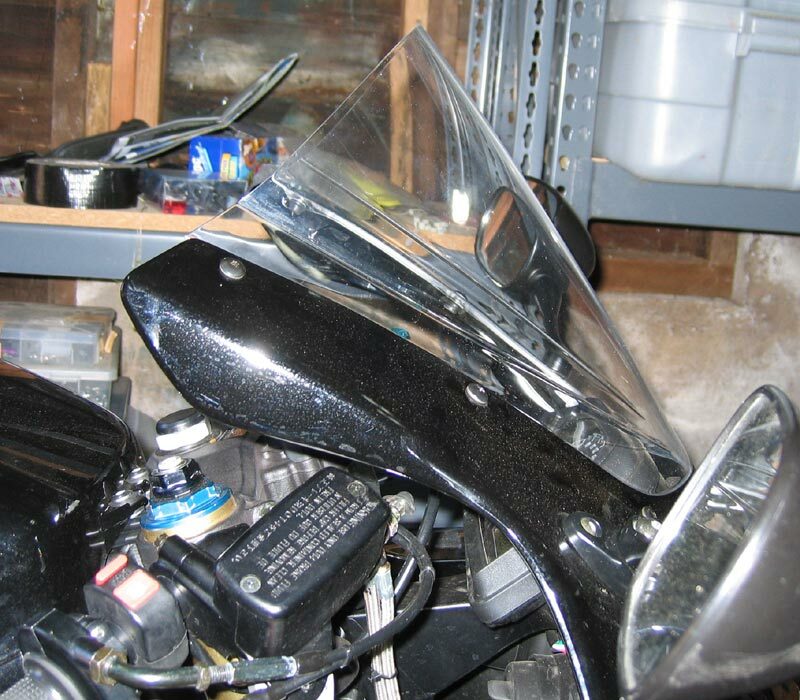 For this windscreen to work well, the riders helmet will be almost resting on the gas tank. For most riders, even casual track riders, this kind of positioning is not in the realm of reality. 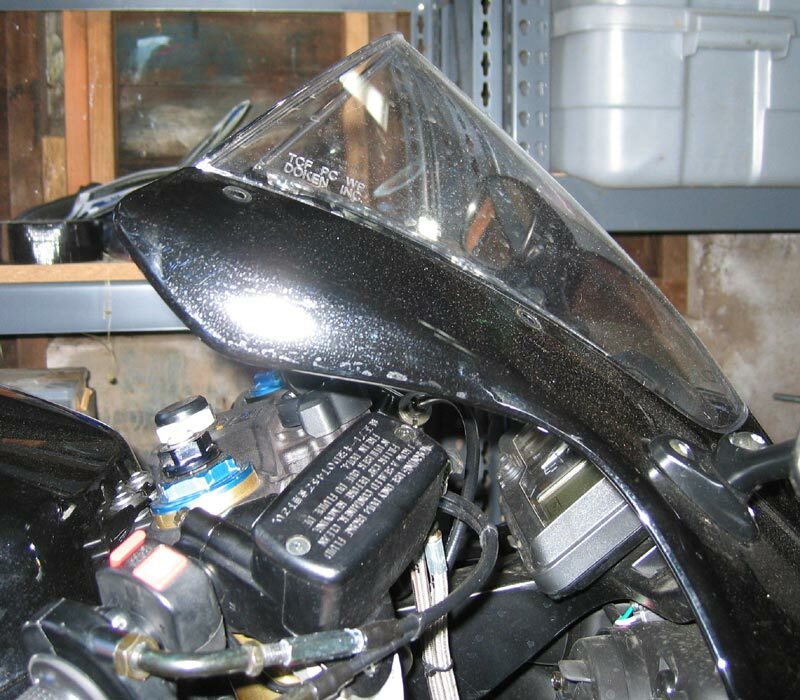 The low stock windscreen tends to aim the brunt of the wind force directly at the riders helmet, causing stress, noise, and poor aerodynamics. I choose to swap out the stock windscreen with a Zero Gravity Double Bubble windscreen, clear of course. This is a nice screen for casual sport riding. Zero Gravity also makes a Sport Touring windscreen for riders that really want the wind out of the way. I love the Double Bubble screens. They make the ride so much more comfortable. Above is the stock windscreen. 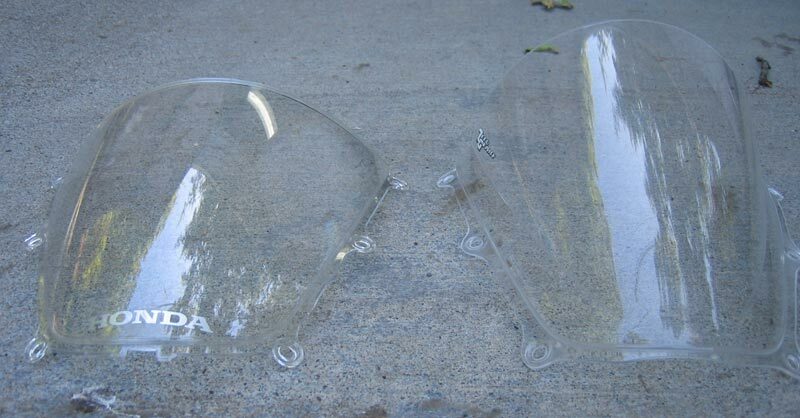 Below is the Double Bubble windscreen.